The legendary Datsun brand is returning to Sri Lanka almost 60 years after its initial introduction to the country in 1957. At a special ceremony held in Colombo on Tuesday 20th December, the first new Datsun showroom was officially opened by representatives of both Datsun and Associated Motorways (Private) Ltd. (AMW), Nissan Motor’s long-term partner in Sri Lanka. Future plans call for Datsun cars to be available in seven cities across the country. The inauguration of the new showroom also marked the official start of sales of the company’s newest model, Datsun redi-GO. Marketed as an urban cross, Datsun redi-GO is an attractively priced, modern and highly capable vehicle that combines the roominess, agility and efficiency of an urban hatchback with best-in-class ground clearance (185mm) and the rugged looks of a crossover. Aimed at aspirational younger owners ready to take the next step up in their lives, redi-GO pre-launch activities began in September. As the brand makes its official return, 300 Datsun redi-GOs have been already sold, giving the car an impressive 10 percent share of its market segment in Sri Lanka. Datsun’s return to Sri Lanka makes it the company’s 13th global market. 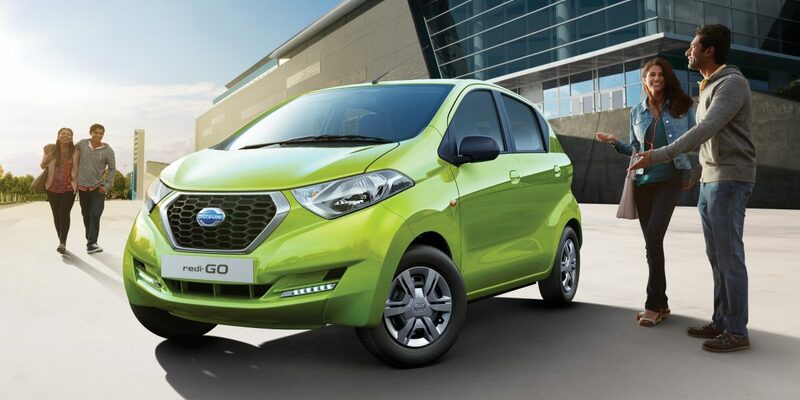 Datsun redi-GO is built in India where it was launched in early June 2016. Sri Lanka joins Datsun’s existing markets: India, Nepal, Indonesia, Russia, Kazakhstan, Belarus, Lebanon, South Africa and its neighbour countries. Nissan Motor Co., Ltd. announced the return of the Datsun brand, Nissan's third global brand, alongside Nissan and Infiniti, in March 2012. Datsun provides a sustainable motoring experience to optimistic up-and-coming customers in high-growth markets. Datsun represents 80 years of accumulated Japanese car-making expertise and is an important part of Nissan's DNA. The new Datsun brand stands for Dream, Access and Trust. The overall Datsun customer offer includes a worry-free ownership experience at competitive cost, accessible services, with transparent pricing, and dealership proximity.